I think it’s probably fair to say at this point that when it comes to wine, we’re more than a little obsessed. Seeing as you’re following this blog, we can probably imagine that you’re nodding your heads right now in agreement, and hoping nobody’s rifling through your recycling bin to see just how far your own obsession goes. For us, one of the wonderful things about the world of wine is that it’s so far-reaching. This era-spanning drink covers hundreds of varieties, and an almost-infinite array of flavours, aromas, styles and characteristics… meaning it’s simply impossible to ever become bored of it all. Not only that, but for us wine lovers, the variety doesn’t just stop when it comes to the range of vino on offer. Every year, there are vast numbers of new accessories, gadgets, trinkets and devices to explore, each aiming to up your game and improve the overall drinking experience. From novelty wine stoppers to sophisticated bits of complex tech, there’s always something new to add to your shopping list. Seeing as the new year is upon us, we thought we’d take you through some of our must-have items that we’ll be nabbing at the end of the January sales. Cheers! OK, so it isn’t exactly the most practical of items. However, seeing as hit shows like Game of Thrones has brought back something of a medieval fervour to popular culture, it’s difficult to resist owning such a cool and eye-catching accessory… plus, it makes you feel like a marauding viking while sipping on your Semillon, which is no bad thing. 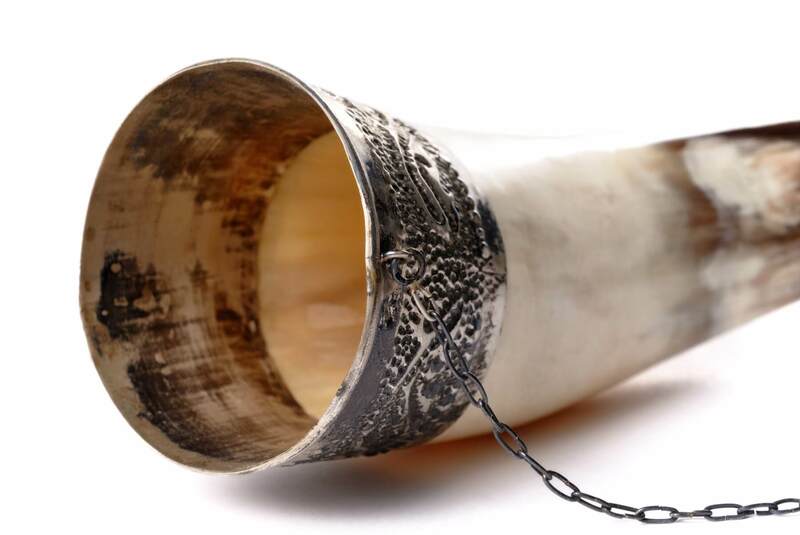 Drinking horns have been around for as long as people have been drinking, really, and the contemporary versions which are out there have been cleaned, sterilised and varnished… meaning you aren’t going to end up with flakes of dead cow in your mouth while you’re trying to enjoy your booze. Everyone’s a winner! Well, here’s the bad news: whoever’s responsible for such things hasn’t yet invented a genuinely never-ending wine glass. However, the next best thing does exist - a wine glass into which you can fit an entire bottle of wine! Now, we’re not entirely sure whether or not these things are supposed to be used for exactly their suggested purpose (not that we’re unwilling to try, you understand), but as a novelty item or gift, we’re pretty big fans. Airports and wine are not the greatest of friends. Firstly, the selection on offer once you’re through the seemingly endless security checks is usually pretty poor and overpriced. Secondly, most of us have experienced the horror that descends when you realise you can’t sneak your favourite bottle through customs, and the crushing feeling you get when you have to hand it over to one of the security officers on your way through (extra points if you’ve turned around, drank the lot, and then gone through with the same wine safely stored in your belly). So what’s the solution to this conundrum? Is it worth the risk of packing your bottles in your hold luggage, and hoping that your suitcase isn’t tossed around like a ragdoll by the people who load them into the plane? With a wine cradle, such worries become a thing of the past. These clever devices (and those similar to them) offer a protective inflatable lifejacket for your wine, meaning that no matter how rough your suitcase is handled, your bottle isn’t going to leak all over your clothes. What’s more, if the plane crashes into the sea, you’ll have a nice tipple to enjoy while you hunt for a desert island. 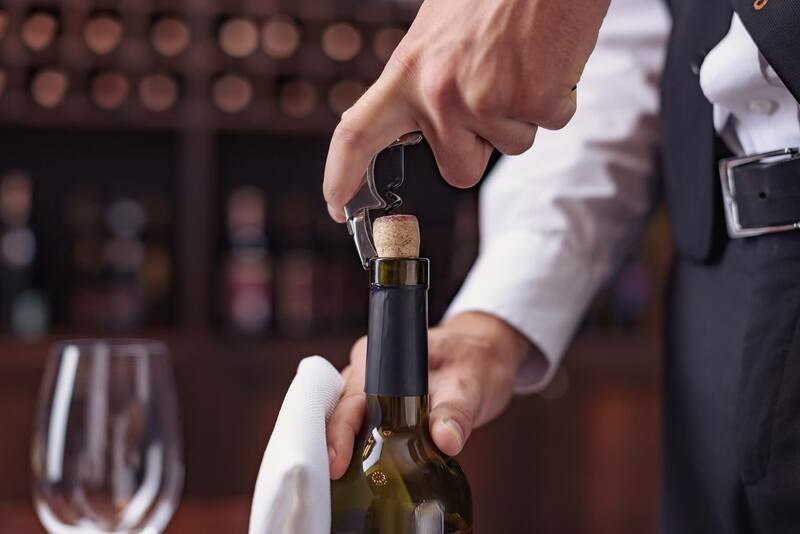 Okay, this one's more in the useful than wacky category, but every year seems to bring with it some amazing new innovation when it comes to corkscrews and wine openers. Huge, lever-powered mechanisms, electric and robotic cork-poppers, vacuum-suction devices… the list goes on and grows each season. As with many things in the world of wine, however, sometimes you can’t beat the originals. A decent quality waiter’s friend, made with tough, durable materials by a company that knows what they’re doing, is a real thing of beauty. Light, portable and perfect for picnics, lunch breaks, parties and all manner of events, these classic corkscrews have been an enduring standard at restaurants worldwide for good reason. They take a little getting used to, but once you’ve got the knack you’ll never need another bottle opening utensil again. Sometimes, you might not have the time (or space) in your fridge or cooler for that bottle of white you’ve been craving at the end of a long day. While we may be in the tail end of summer, that doesn’t mean you have to put up with lukewarm white wine when you’re in need of a refreshing drink. 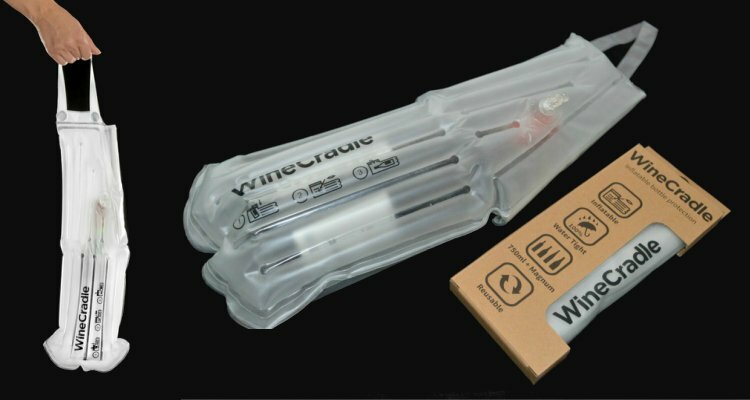 There are loads of items on the market that are perfect for quickly chilling your vino, from wrap-around coolers to icicle sticks that you pop in the neck of your bottle. However, we’re quite fond of these wine pearls - stainless steel balls which you keep in your freezer, and then put into your wine glass for instantly dropping the temperature of your drink. Elegant, unfussy and effective! Okay, we're all for fun and jokes but when it comes to drinking sweet sweet (well not actually sweet) wine we take things pretty seriously. Not in a pretentious way, but in a "we only get to try so many bottles in our life so let's make them count way". So allow us to guide you on your wine journey and recommend some bottles just for your tastes. Take our fun seven question palate profile quiz here and we'll recommend three bottles for your personal tastes.